The iPhone 5’s battery life isn’t bad, but it isn’t awesome, either. With careful use, you can make your iPhone’s battery last all day. If you want to work your iPhone hard, however, particularly when you’re traveling or otherwise away from places to recharge the device, you need a battery case. I’ve looked at many battery cases for the iPhone 5. All of them plug into your iPhone’s Lightning connector, and all of them work basically the same way: You charge the cases up by plugging them into a wall adapter or USB port, and you activate them when you want to start charging up your iPhone’s built-in battery. If your iPhone 5 is inside a battery case and you plug in the case to recharge it, your iPhone recharges first, and only afterward does the case start charging. The best iPhone battery cases should be easy to toggle on and off, simple to charge, and capable of providing a good indication of how much battery life remains in the case. Oh, and of course, they should provide a lot of extra juice. On a more subjective scale, I prefer button overlays to cutouts. With the latter design, cases leave holes around the volume buttons, the Sleep/Wake button, and usually the Ring/Silent switch. I find the iPhone’s buttons harder to press through such tiny gaps; I prefer a “surface-level” hardware button that doesn’t require squeezing the tip of my finger into a small space. Keeping your iPhone in a battery case while traveling may provide an extra benefit, since almost all such cases rely on Micro-USB cables for charging—you may well have other devices (keyboards, speakers) that can share the same charging cable, and replacement Micro-USB cables are far cheaper than Lightning cables. Regardless of which battery case you choose, a bit of advice: Your iPhone 5 requires more juice to charge the final 20 percent of the way. Turn on your battery case when the iPhone's battery level drops to around 20 percent remaining, and then turn the case off again when your iPhone hits 80 percent. That strategy will maximize how much battery goodness you can squeeze from the case while you’re out and about. Mophie makes excellent battery cases, and sells three models for the iPhone 5: the Juice Pack Helium ($80), the Juice Pack Air ($100), and the Juice Pack Plus ($120). If you’re familiar with Mophie’s battery cases for the iPhone, you should note that Mophie made these names a smidgen confusing. The Helium for the iPhone 5 looks a lot like the Air for the iPhone 4/4S, the Air for the iPhone 5 resembles the Plus for the 4/4S, and the Plus—well, it also looks like the Plus of old. The Helium offers the least power (1500 mAh), and has button cutouts. The Air (1700 mAh) and the Plus (2100 mAh) both offer button overlays. The Plus adds substantial power without being significantly larger than the Air; unless you really value the slightly smaller size, go with the Plus. One drawback to the Mophie cases is that their thick bases all require that you use an adapter cable to access the headphone jack. However, each two-piece case is easy to put on and remove. The $80 MyCharge Freedom 2000 packs in 2000 mAh of power, which the company says should more than double your iPhone 5’s battery life. The case takes a decidedly different approach from the Mophies. For starters, it’s a single piece, and you “press fit” your iPhone into the case. The little rubbery flap that guards the Micro-USB port on the base feels awfully vulnerable to an accidental tear. You’ll also find a Lightning-connector charging tether, which you pull out from the case’s body and manually plug into your iPhone 5. The left upper edge of the case is carved out to expose the volume buttons and the Ring/Silent switch—I actually prefer this larger kind of cutout to individual-button cutouts. The Sleep/Wake button overlay, on the other hand, is really tough to use: I need to push very hard to make it trigger the button underneath. I found the tethered Lightning plug to be an odd design choice. When charging, the phone looks dopey, with a tiny cable sticking out of it. Plugging and unplugging the connector feels a bit fussy, since you have so little wiggle room. On the plus side, the design leaves the base of the iPhone 5 entirely exposed, so you can plug in your headphones, or another Lightning cable, with ease (say, to connect your iPhone to your car’s audio system). This is the case to choose if you want easy access to the bottom ports on your iPhone 5. 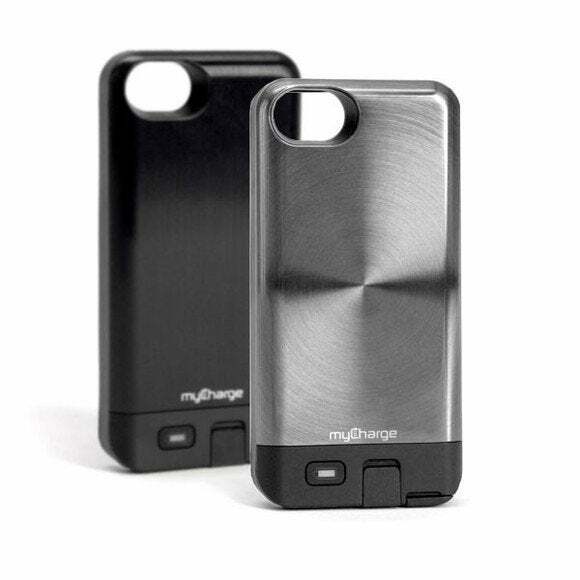 The $90 Meridian is a two-piece case, similar in design to the collection from Mophie. The case offers 2300 mAh of power, which is a lot, and it fits into a svelte package. Also like the Mophie cases, the Meridian leaves the headphone jack very deeply recessed—but while the Mophie cases ship with a small headphone adapter, the Meridian doesn’t. You’ll be able to squeeze your white iPhone headphones into the plug if your aim is straight and true, but anything thicker will require an adapter that you’ll need to provide yourself. The case employs cutouts around the buttons. I was unimpressed with how the case’s upper piece fit—near the cutout for the Sleep/Wake button, the case failed to sit snugly against the top of my iPhone 5. Other cases didn’t have that problem. Still, if you’re after the most milliampere hours possible, the Meridian is worth considering, as it holds that crown among the cases I looked at for this roundup—or at least, among the cases I can recommend. iBattz makes the batteries in its cases removable, which is a clever design since it means you can carry more than one backup battery if you’re so inclined. I looked at the $80 Mojo Hi5 Power Bank Case. (Don't be confused by the iPhone 4 shown on the box—this case is, in fact, made for the iPhone 5.) The Power Bank is designed so that you can keep your iPhone in a slimmer case until you actually need the extra battery power: The package includes a pair of slim plastic hard-shell cases, plus a single 2500-mAh battery that you can snap onto your case-clad iPhone as desired. I understand the appeal here, but if I need to lug around the battery anyway, I’d rather keep it on my phone at all times so that I don’t lose track of the thing. The two single-piece hard-shell cases look nice, and the setup with the battery snapped onto it looks sharp, too. But with this case option, you’re really toting around a stand-alone charging unit that happens to fit on the back of your iPhone. I also tried iBattz’s $90 Mojo Refuel Removable Battery Case. To be clear, all of the cases I’m writing about are removable; with the Refuel, iBattz is stressing that the case’s battery is itself removable, and that you can hang on to more than one. This case consists of two pieces: a slim backing battery that connects to the Lightning port (thank goodness! ), and a thin, interchangeable frame that pushes down around the front of the iPhone’s edges. I really liked the look with the black battery and the red frame. The case uses cutouts, which I don’t love, but it does offer that removable battery, true to its name. You can slide off the plastic backing without needing to take the case off your iPhone 5, and swap in a different battery on the fly. 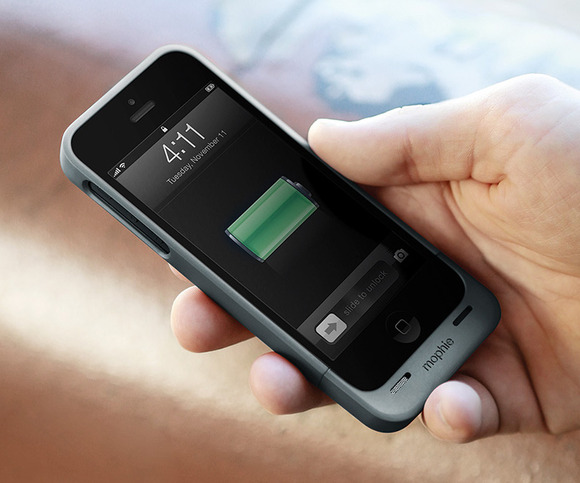 The $100 Belkin Grip Power Battery Case packs in a 2000-mAh battery, and is available in several color pairs. Like the Mojo Refuel, it consists of a main battery portion that plugs into your iPhone 5, and a thin frame that snaps down around the front. The backing plastic on the case feels a little cheap in my hand, but I like the look regardless. The Grip Power is one of the few battery cases I tested that intentionally protrudes beyond the screen—a design that affords a bit of extra protection if you drop the phone and it lands screen-side down. The Micro-USB port on the Grip Power is tucked away on the side, which works fine. You’ll find button overlays for the volume and Sleep/Wake controls, and a tight cutout for the Ring/Silent switch. Because it covers the headphone jack, as the Mophies do, the Grip Power ships with a small headphone extension cord. Instead of a little groove for you to pry the case apart and remove it, a tiny tab sticks out of the right side. This is the case’s best feature—it’s easy to grip, and it makes removal a cinch. 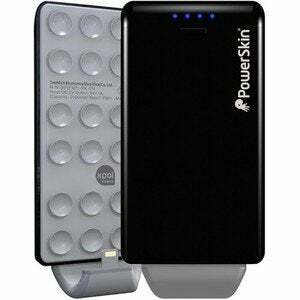 PowerSkin's Pop'N... suction cups and all. This is an odd case. 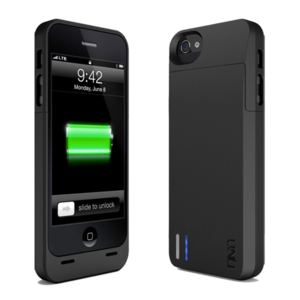 The $80 Pop’N for iPhone 5 can work as a case, or as a battery add-on to your existing case—that is, assuming your case will stick to the suction cups that cover the surface of the Pop’N. The Pop’N offers a 2000-mAh battery, and it shows off some interesting design choices: Because it adheres to the back of your iPhone, it doesn’t occlude the sides—all of those buttons remain exposed, as does the headphone jack at the bottom. But the case doesn’t even reach all the way to the top of the iPhone 5; it’s only about as tall as a previous-generation iPhone. In my tests the suction cups stuck fairly well to the iPhone itself, and to a variety of cases I tested the Pop’N with. Though it has a cheap plasticky feel reminiscent of the Belkin Grip Power, the $80 Unu DX Protective Series is worth a look. It uses a 2300-mAh battery, and has a two-piece cap-and-base design that functions a lot like the Mophies do. The DX ships with a small headphone extension cord, too. The case uses button cutouts, including one around the Ring/Silent switch that I actually don’t hate. I often find that such cutouts make the Ring/Silent switch difficult to access; here, however, thanks to the thin cut of the case in the area, accessing the switch isn’t a challenge. I don’t love the seam that the case makes where the cap and base fit together—it’s too visible. Still, the DX packs a lot of battery power, and it’s easy to put on and take off, so it isn’t a bad option. For most people, the Mophie Juice Pack Plus is the best option. 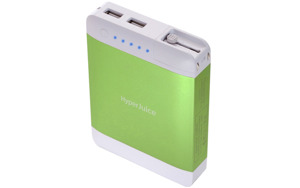 If you can’t stand its added weight or thickness, choose the Juice Pack Air instead. If you need rugged protection, the iBattz Refuel case is the way to go; also stick with iBattz if you value hot-swappable batteries foremost. 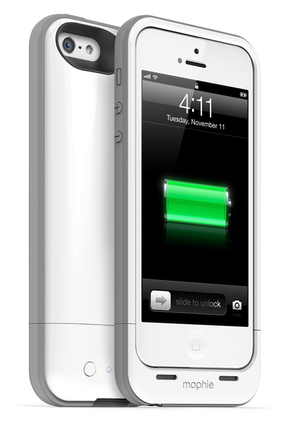 But unless you’re in one of those situations, Mophie still dominates the battery-case market for the iPhone 5. The Plus adds substantial power to your iPhone, without adding substantial bulk. 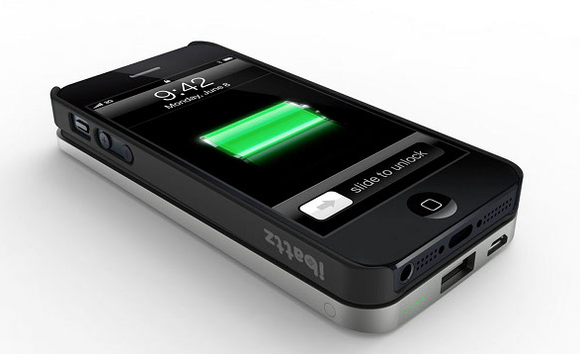 The Freedom 2000 doubles your iPhone 5's battery life and allows easy access to its bottom ports. The Meridian doesn't provide the best fit for your iPhone 5, but packs a lot of milliamp hours. The Hi5's design allows you to remove the external battery as needed, but you must use your iPhone 5's Lightning cable—which is annoying. The Mojo Refuel has an interchangeable frame and battery, so extra batteries can be swapped out on the fly. 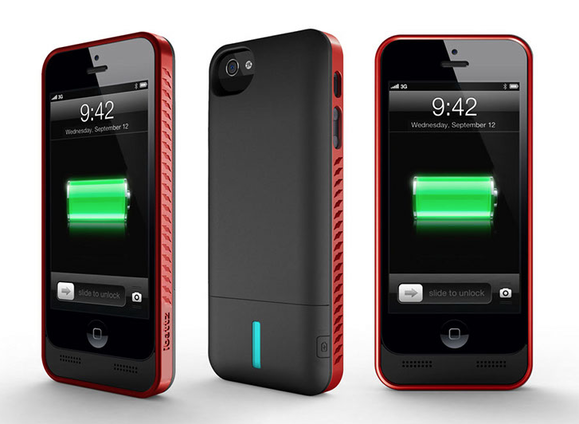 If you want extra battery life and serious iPhone 5 protection, this is the case to get. The Grip Power packs a 2000 mAh battery and protrudes slightly over the iPhone 5's display for added protection. The Pop'N offers a 2000 mAh battery, and it shows off some interesting design choices—starting with the suction cups that keep it attached to your iPhone 5. The DX packs a lot of battery power, and it's easy to put on and take off of your iPhone 5.